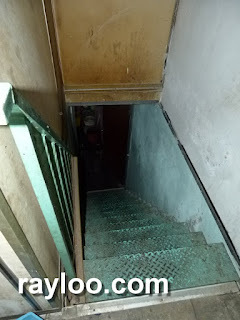 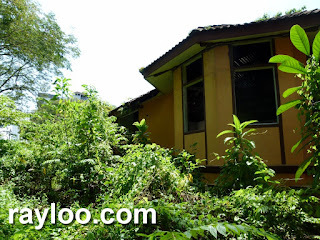 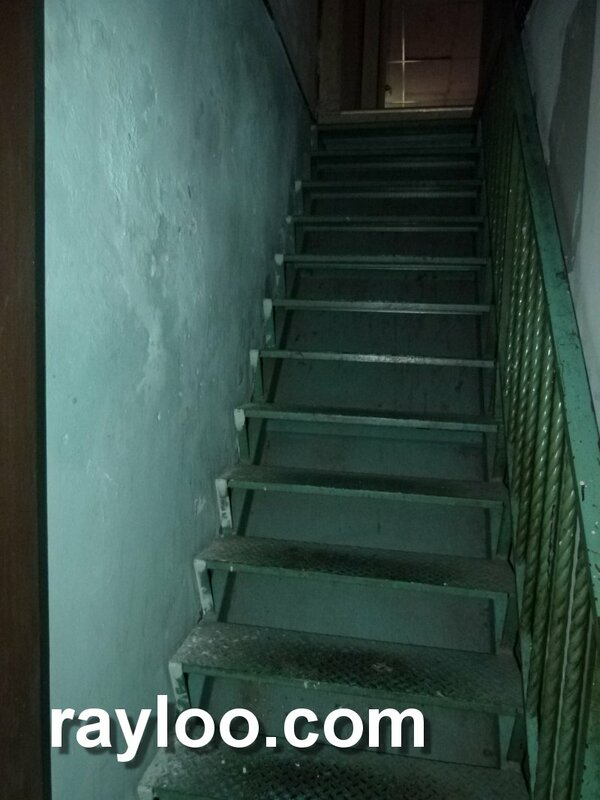 A 2 adjoining shophouses on Jalan C Y Choy are for rent at RM2500 each, very long about 90 feet. 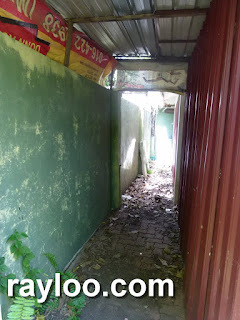 Near to Cecil Street Market. 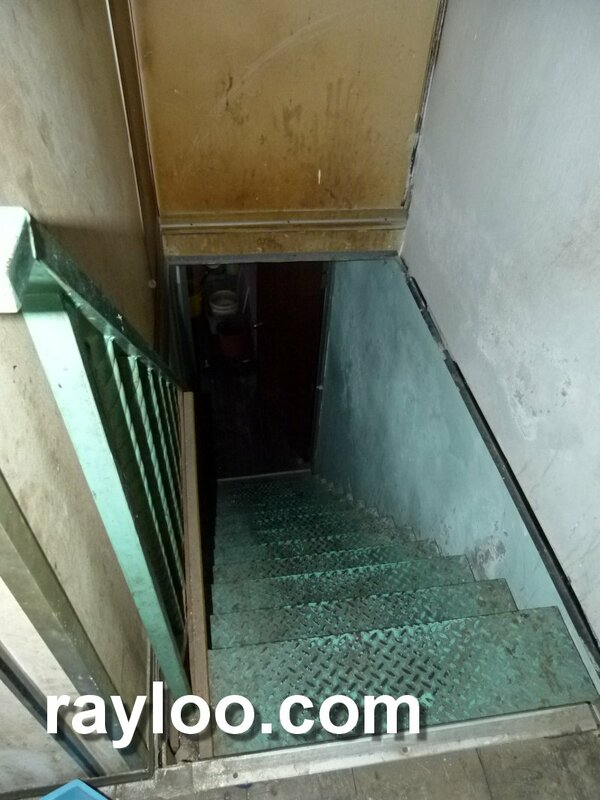 2 rooms on upstairs. 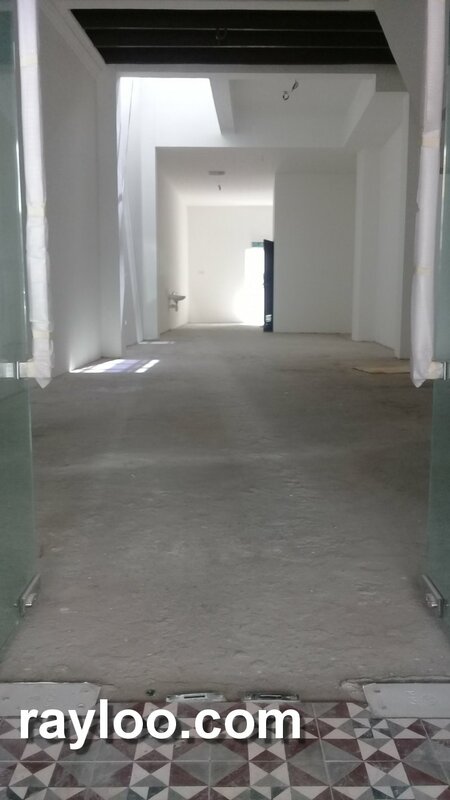 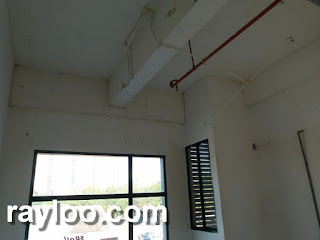 Few units of various size office lot in Gembira Parade Island Park Green Lane for rent from RM1100 (474sf) to RM2200 (775sf). 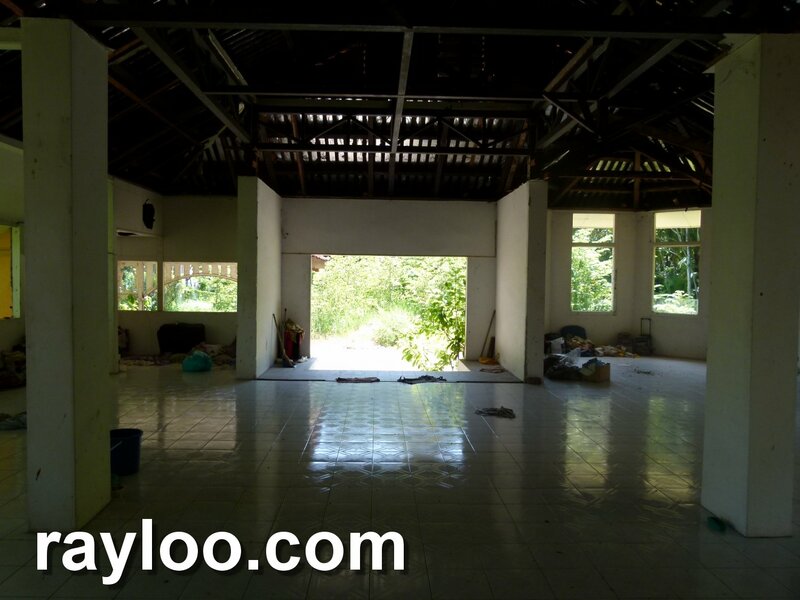 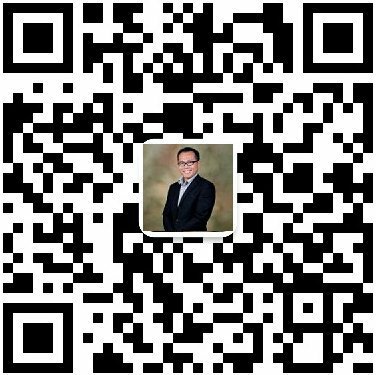 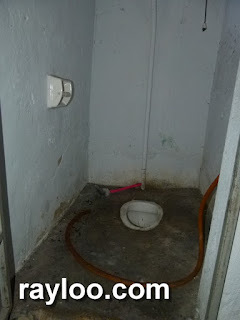 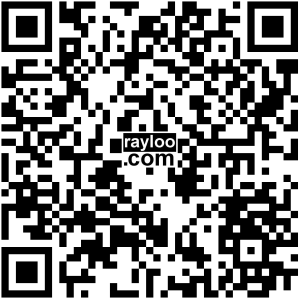 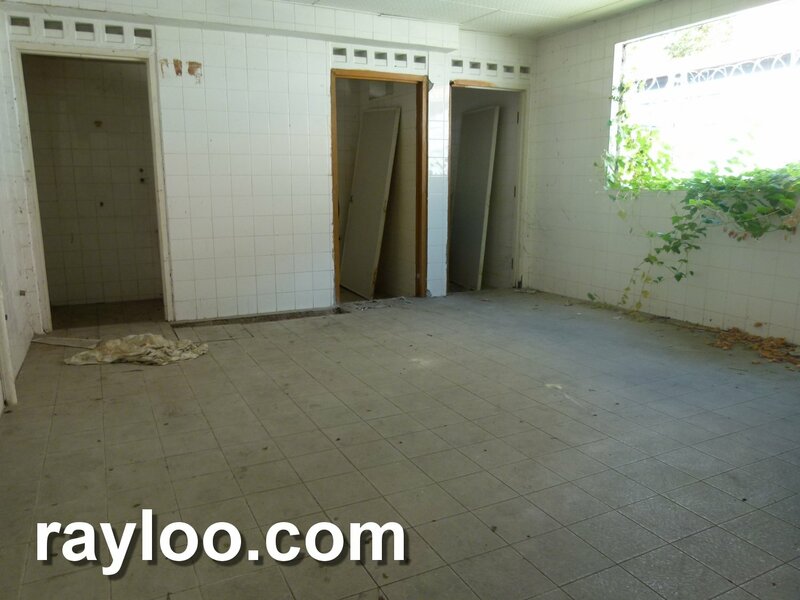 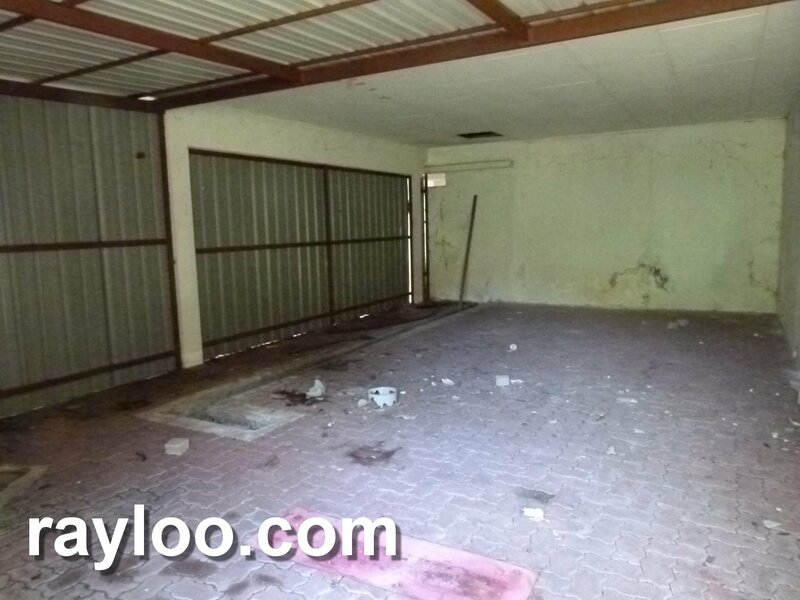 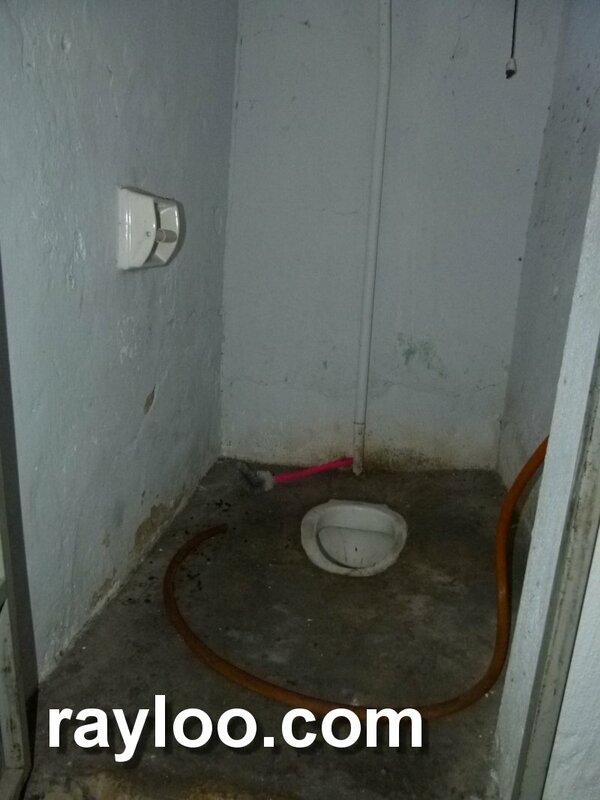 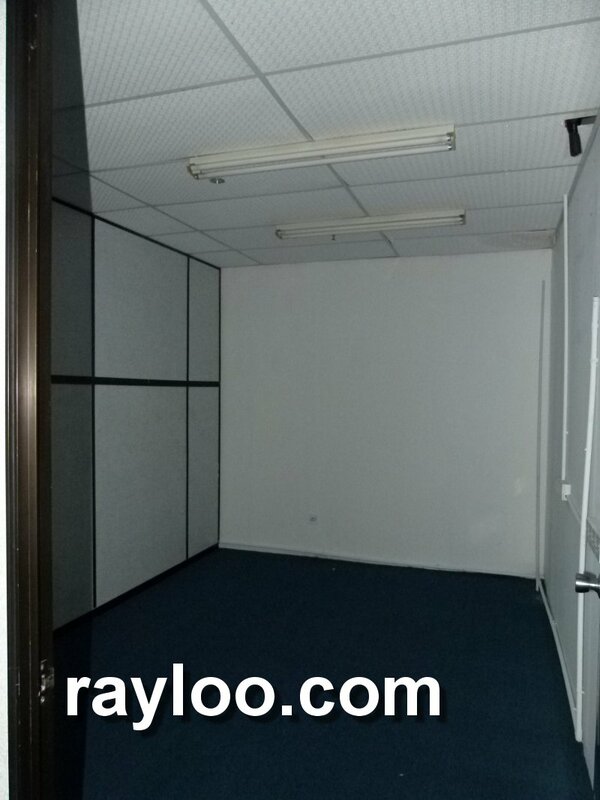 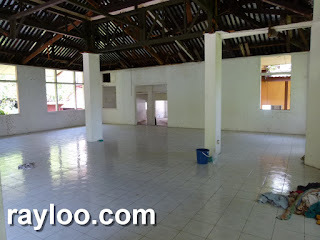 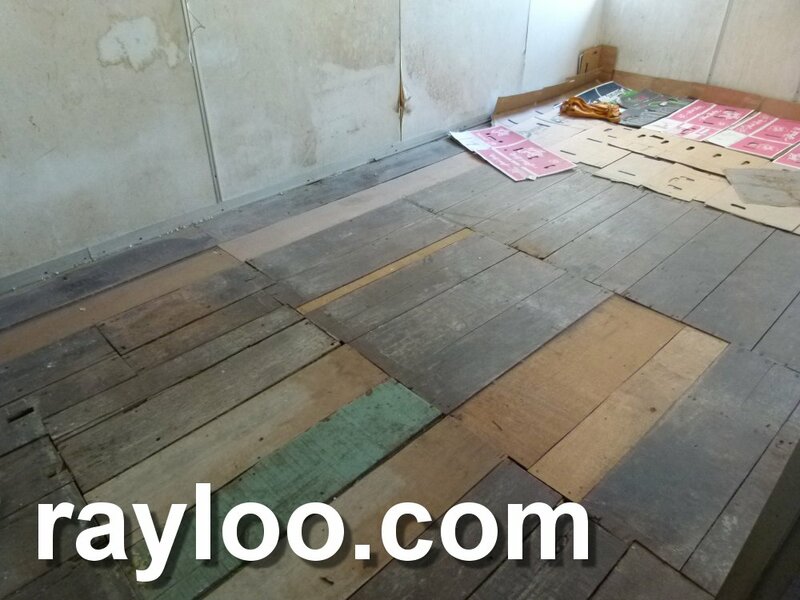 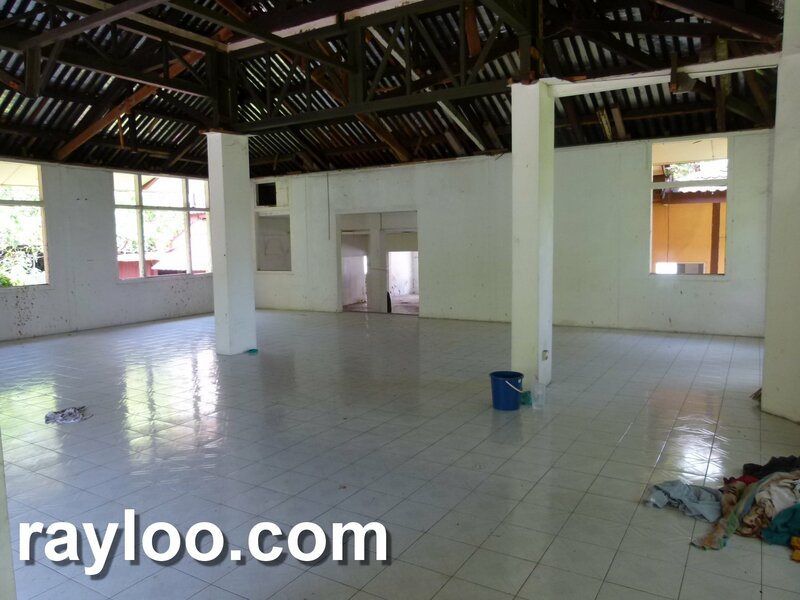 Partly renovated, private parking just in front of the building provide seasonal charges. 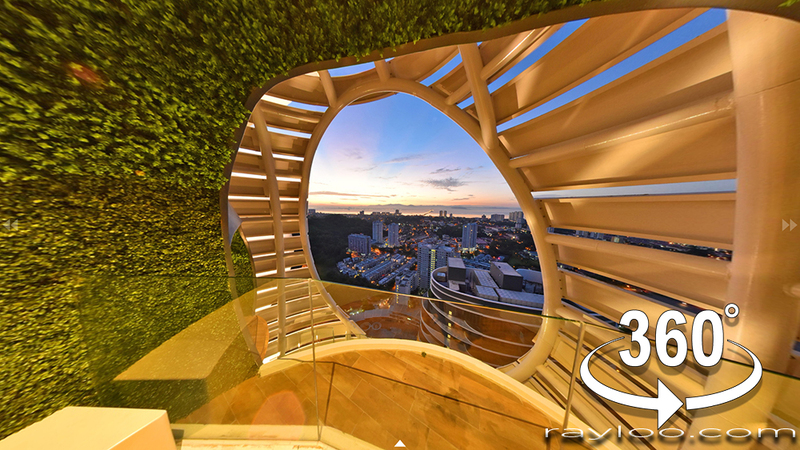 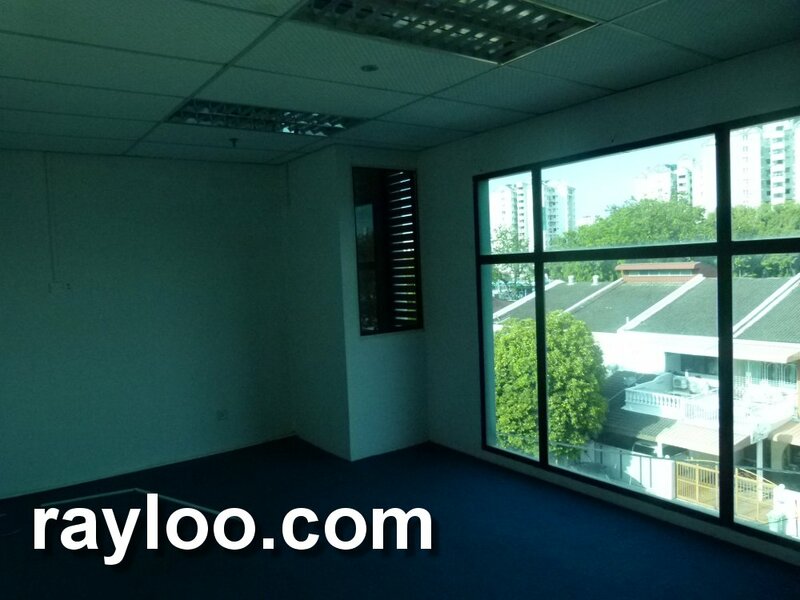 Below unit is 474sf asking for RM1100 per month. 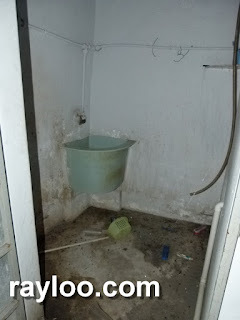 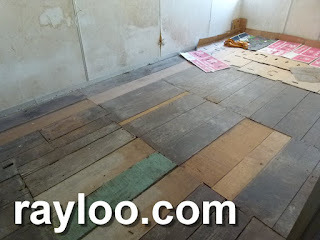 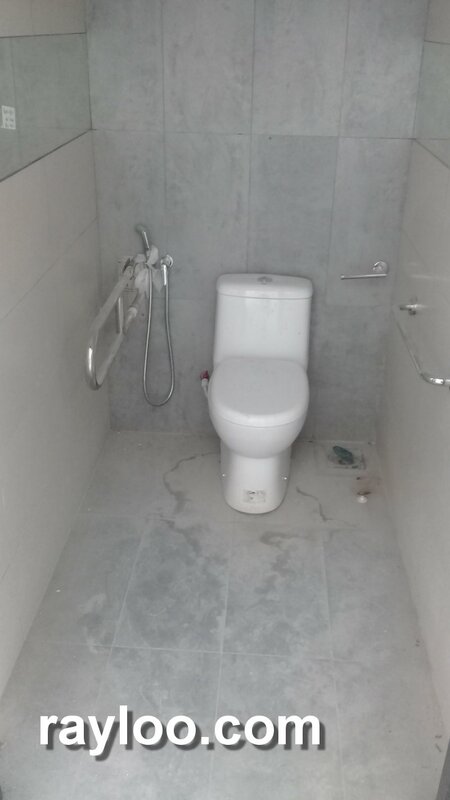 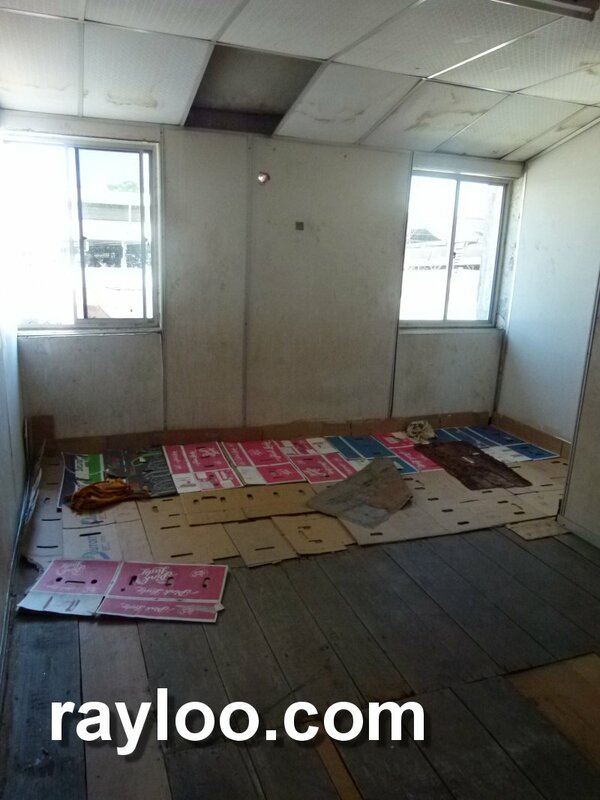 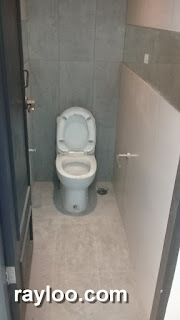 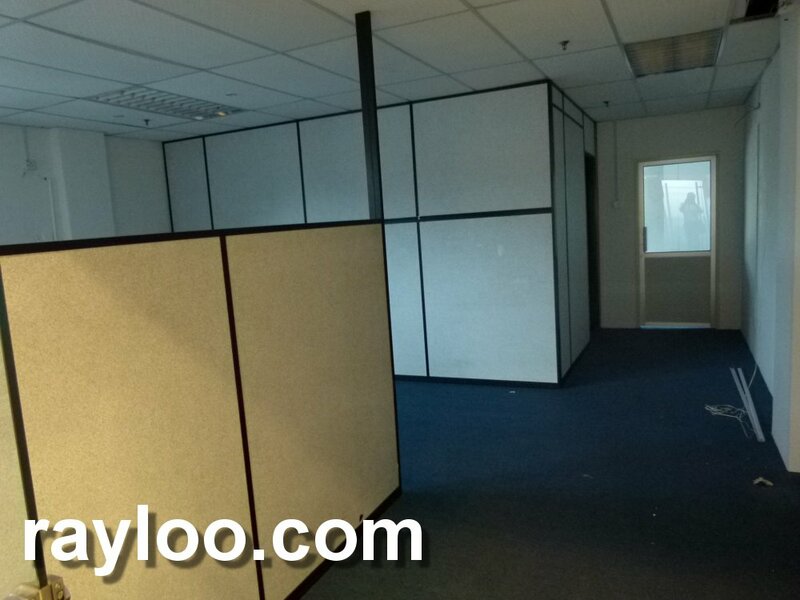 Below is 700sf asking for RM1600 per month. 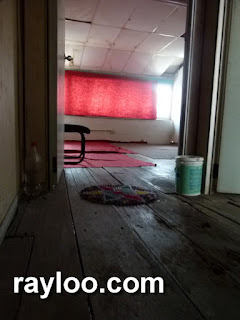 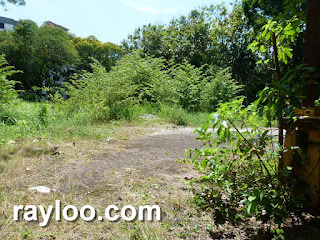 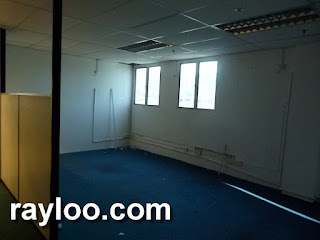 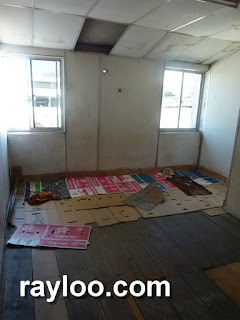 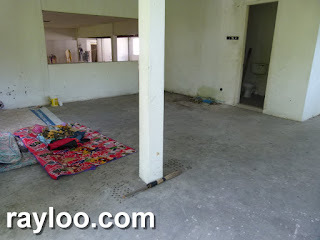 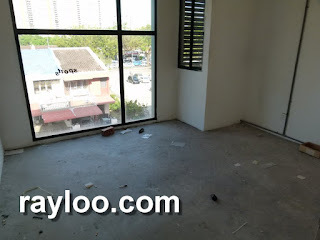 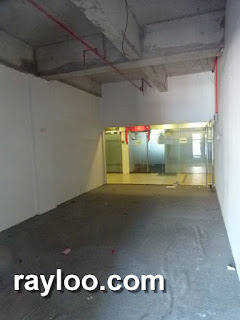 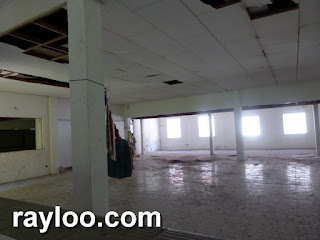 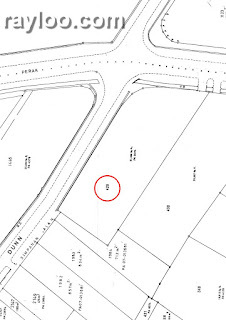 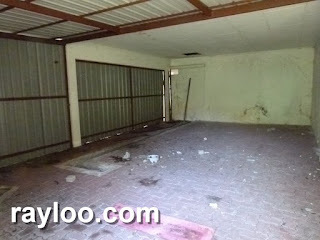 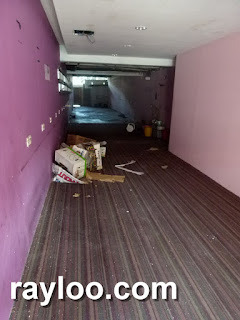 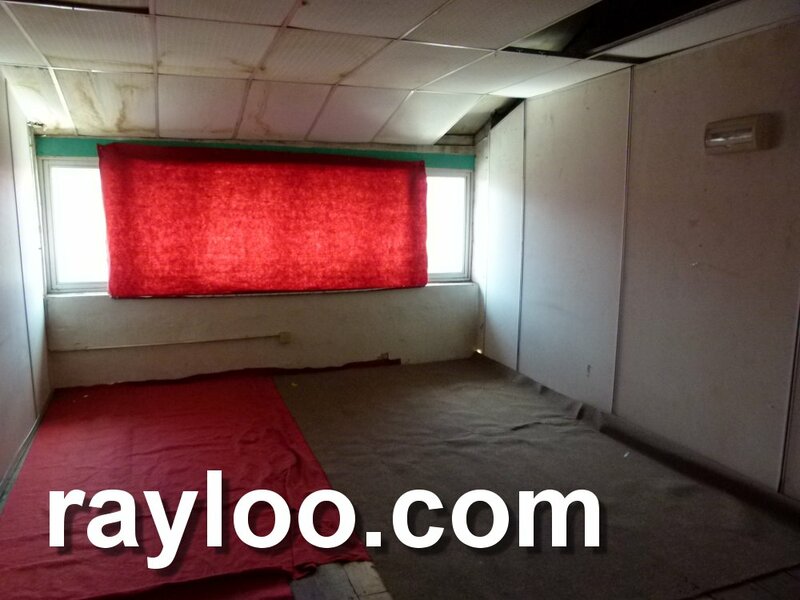 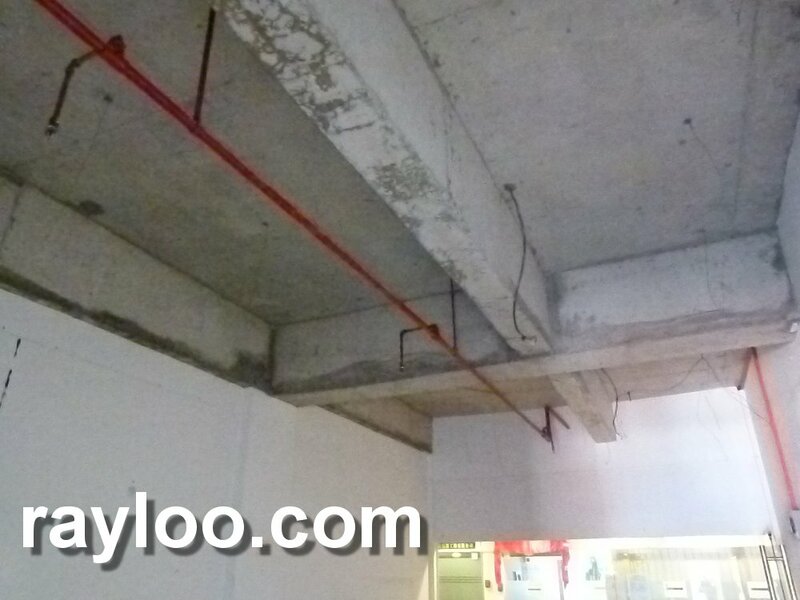 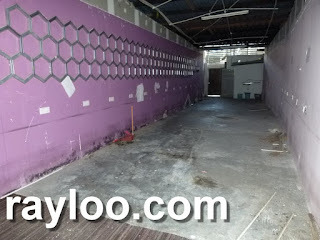 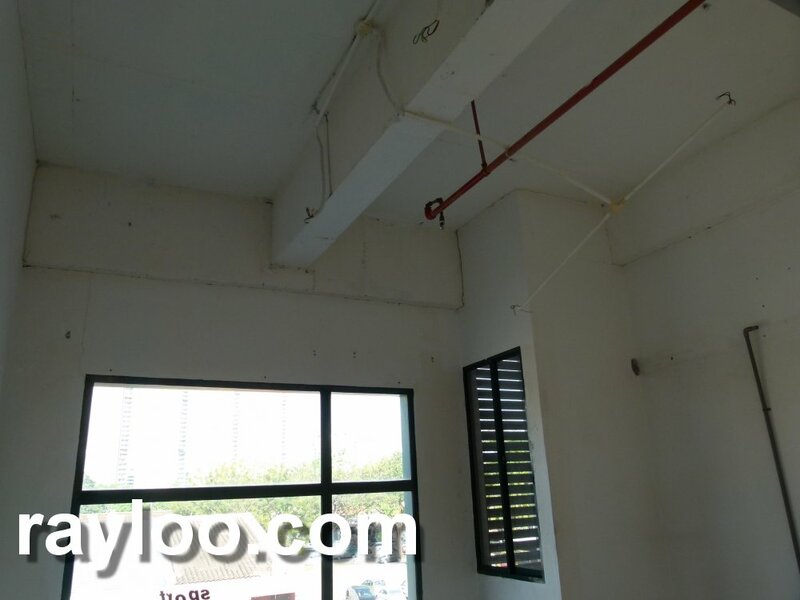 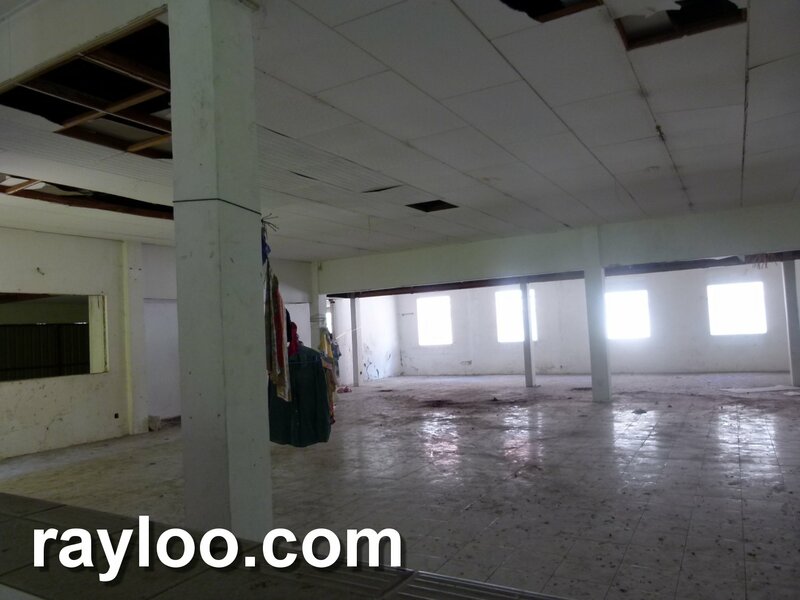 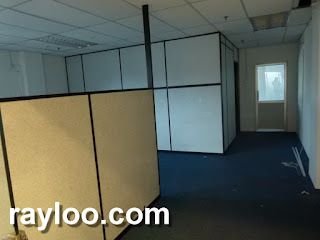 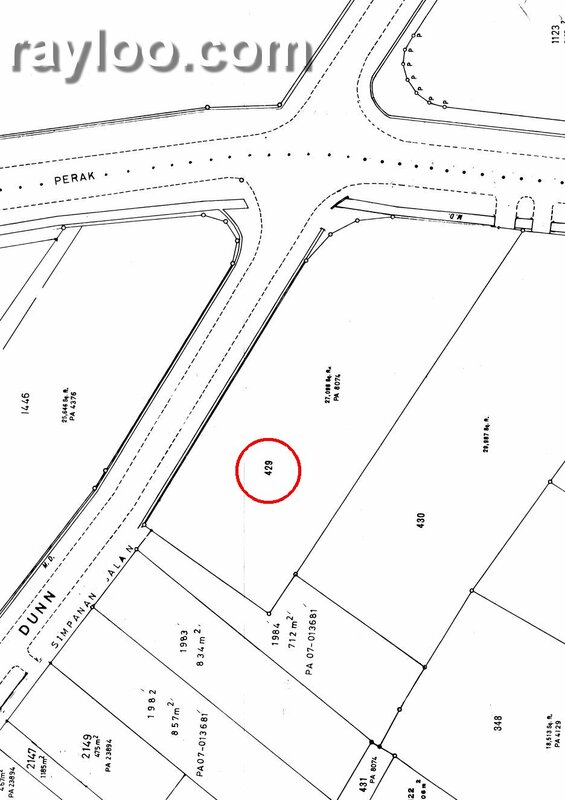 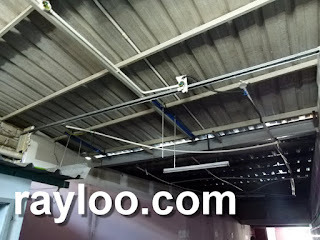 A 1300sf ground floor shop lot on the busy Sri Bahari Road is available for rent at RM4000 per month. 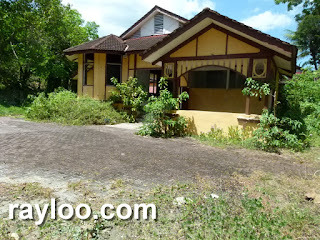 Just recently renovated, public parking lots in front. 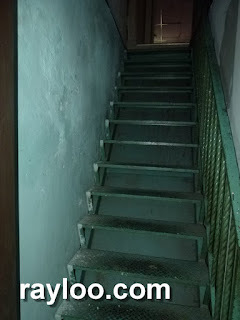 Upstairs used as hotel. 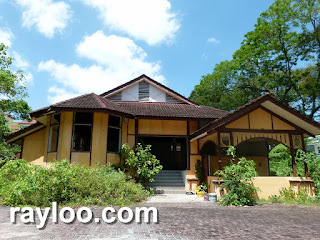 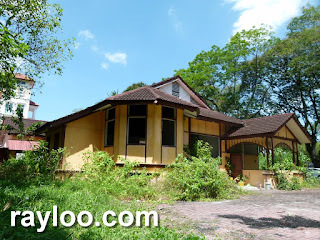 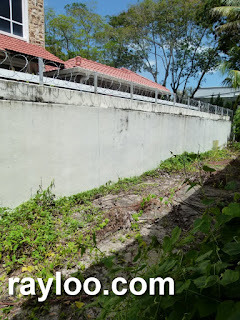 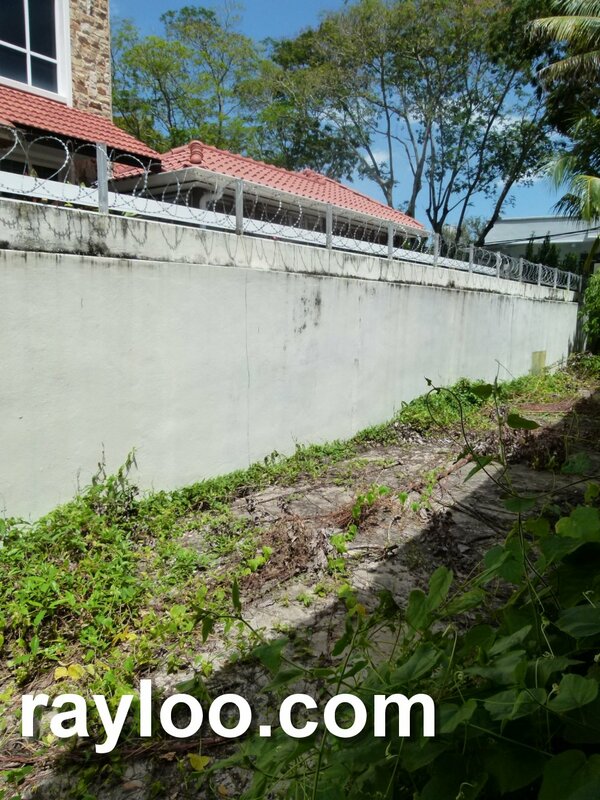 A 1 storey detached house on Perak Road junction with Dunn Road land area 27,098sf is for sale at RM27Mil and for rent at RM20K per month. 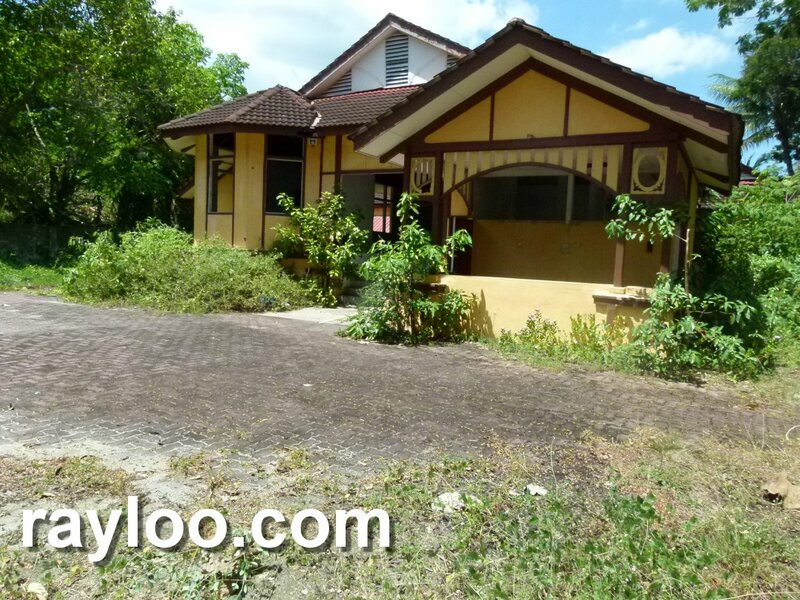 Bad house condition, basically only structure remains. 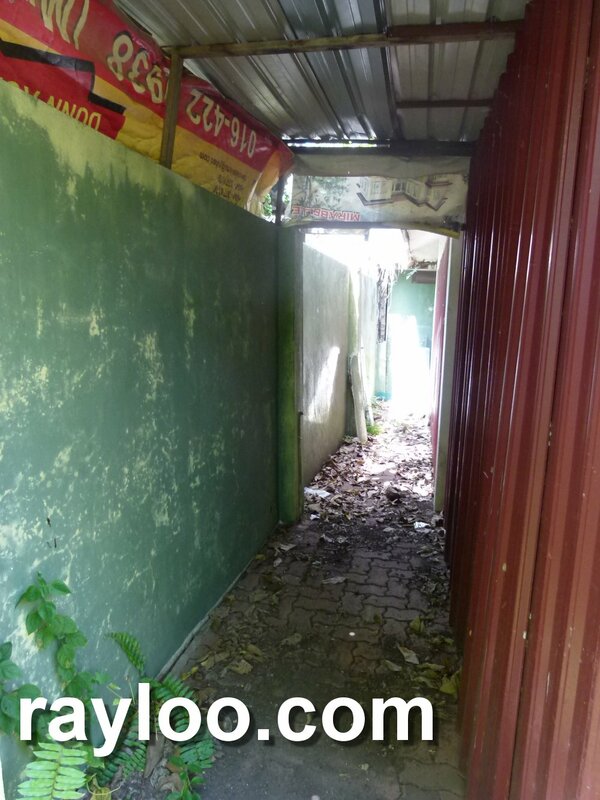 However it has great commercial value since is by the main road. 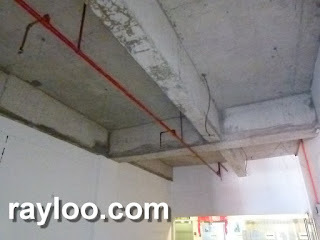 Just across Loh Guan Lye Specialist.